The English for Tourism course is a nine-month program designed to hone the English skills of the students in the hospitality sector. 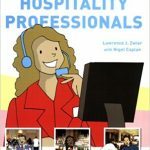 The program covers the basics in the first three months with the textbook EVERYDAY ENGLISH FOR HOSPITALITY PROFESSIONALS; the ENGLISH FOR TOURISM book is used for the next six months in the Intermediate and Advanced levels. 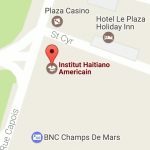 At the end of the program, the best students may be selected for hands-on training sessions in the United States, made possible by a partnership between the Haitian-American Institute and Frenchman’s Creek Beach and Country Club in Florida. If you are a student in a hotel school or an employee in a hotel, this English course is for you.